Crustless Sausage Cheese Quiche is a Low Carb recipe. It’s also a low sugar and gluten-free recipe. A Delicious and healthy breakfast recipe.It has amazing nutrition benefits for many special diets. 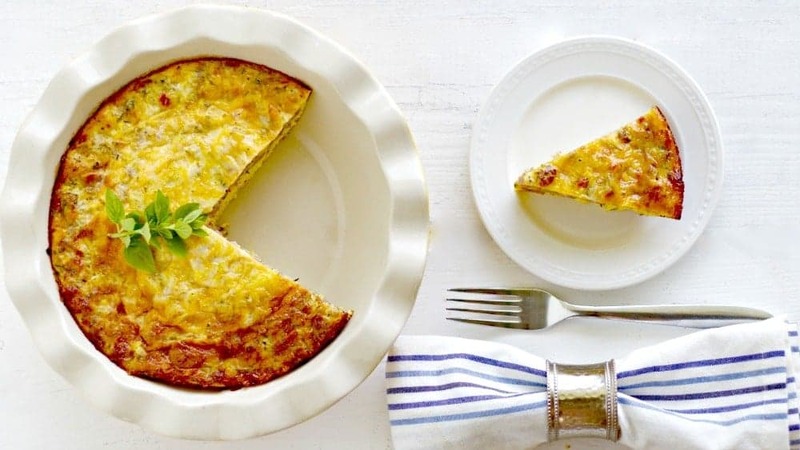 This Seriously quick and easy quiche recipe is Full of protein. 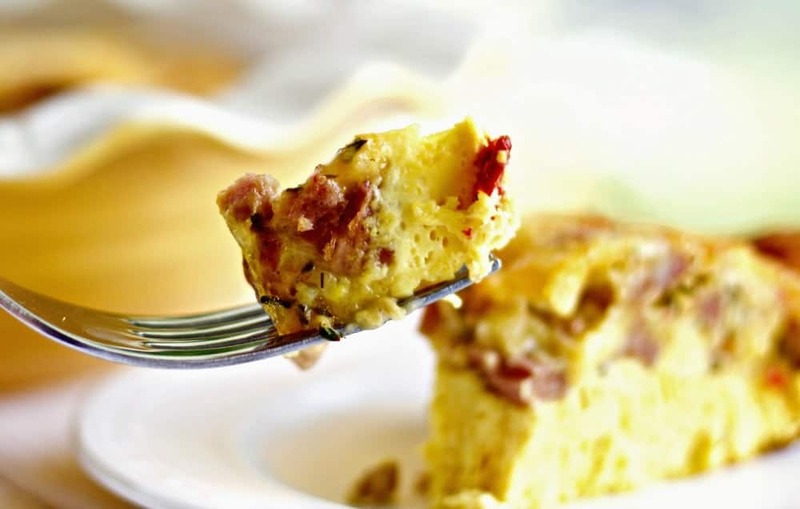 Crustless quiche makes a healthy breakfast, brunch or breakfast for dinner. It also can be made as an egg muffin recipe for grab food! Sunday Morning…coffee and toast with a bit of jam. Slow, Lazy morning. We savor these rare mornings. After we finally get going around the place I putter around in the kitchen. I opened the fridge. The top shelf was stuffed with Four dozen eggs crammed together in a precarious fashion. I had been steadfastly ignoring the egg cache in our fridge lately. We had four dozen eggs! Our hens lay enthusiastically this time of year. Eggs keep coming in from the barn in a relentless wave of lovely white and brown. Dave shoves eggs in the fridge daily. We only have 7 hens…but with just us two, those eggs add up fast! 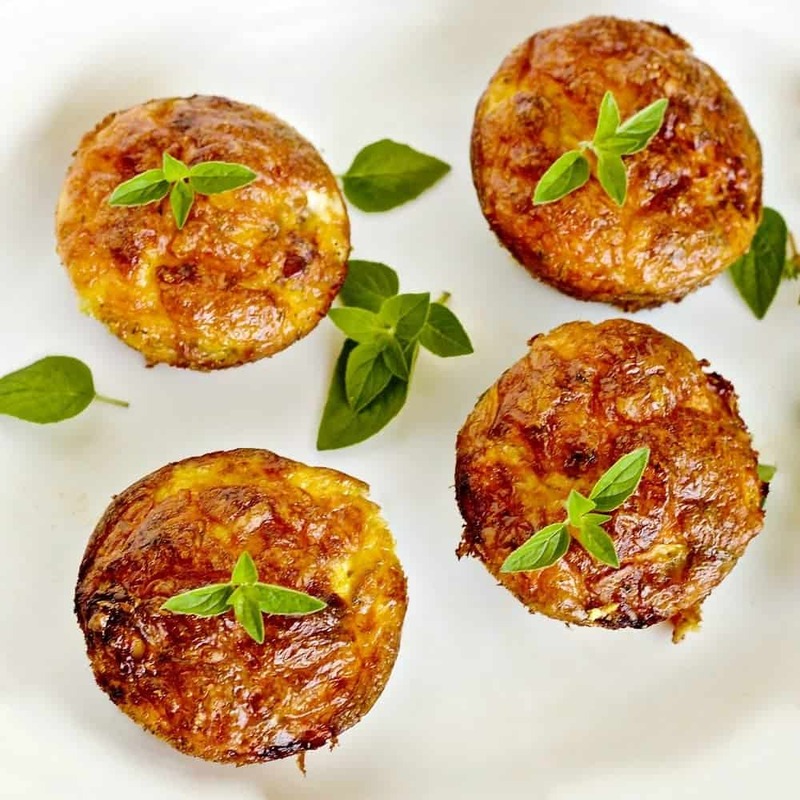 We eat omelettes, crustless quiche and other easy low carb egg recipes for dinner too. They are SO full of great protein. 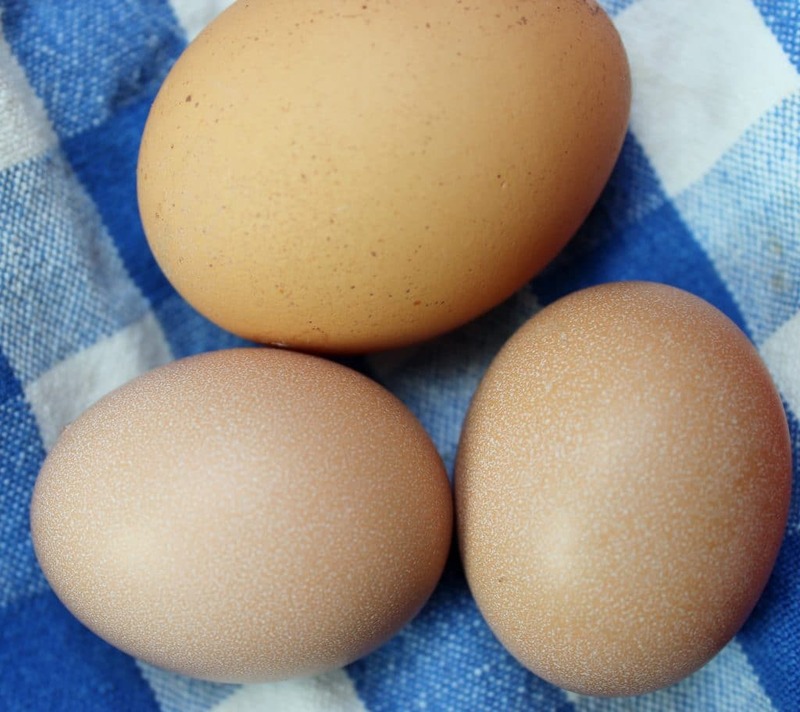 Today I’m going to tackle another dozen of our girls delicious, healthy eggs. Time to rustle up a new recipe for them. I dug around and found everything I needed to make this breakfast sausage recipe and went for it. That’s often how I make a lot of our homemade recipes. I’m not a great shopper. I will dig deep into my fridge and cupboards and get very creative before I force myself to shop. 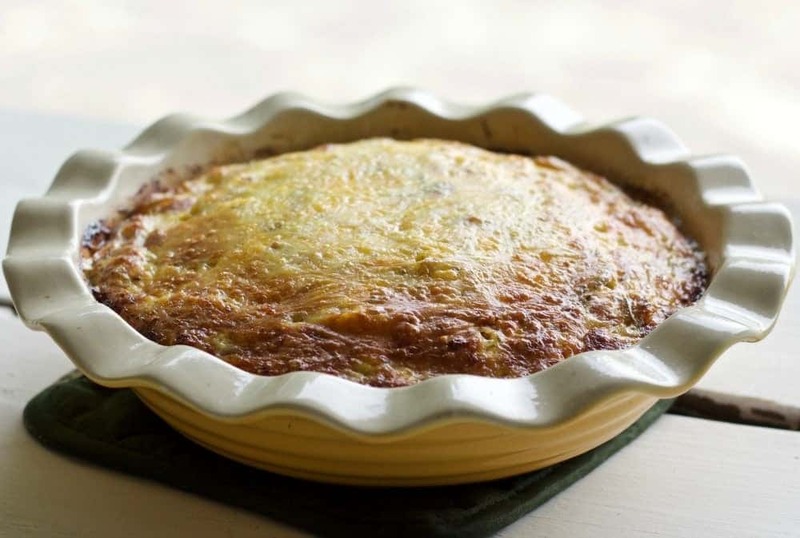 Low carb quiche is about the simplest recipe you can make that has to be baked. It’s so easy to whip up some eggs and put it all together in your favorite pie plate. Crustless Sausage Cheese Quiche. A delicious low carb meal. I’m devoting myself to egg recipes lately. I just made Angel Food Cake, Deviled eggs , and potato salad. I needed another recipe to use up our eggs. If you can believe it we are almost tired of homemade ice cream! Ok. I’m exaggerating. Who can ever be tired of Dark Chocolate Cherry Custard Ice Cream? We love frittatas, and crustless Quiche recipes. I’m pretty lazy so the crustless thing works well for me. I also make a lot of omelettes filled with whatever I can find. Egg recipes for breakfast are often made on the fly around here. So I encourage you to do the same. What have you got handy that can become a part of your healthy breakfast recipes? This time, Low fat chicken sausage links team with eggs and cheese to make a beautiful breakfast casserole recipe. I have seen those cute mini Quiches online for a while now. So I made half this recipe into mini quiches and the other half I poured into my sunny yellow deep dish 9 inch pie plate. Both are great ways to make this recipe. The mini egg muffins are handy grab food. The more traditional lovely Quiches require a plate but look prettier and holds up well in the fridge. The mini’s never got the chance to hold up well in the fridge. Crustless Sausage Cheese Mini hand Quiche. Grab em off the plate! Serve these mini Quiche on a tray and set them out for the family to self-serve. We had twelve gone in no time. Blush Just us two! We did have a really busy day outside. This was a fantastic high energy snack all through the day for us. Crustless Sausage Cheese mini Quiche. Tasty and hold up well for finger food. This gluten free quiche recipe is SO simple! Especially if you are using the pre shredded Mexican cheese blend Like I am. this makes a large batch. you might want to cut this recipe in half if you’re only feeding two people. Unless you love leftovers. This recipe makes good leftovers. You can serve this Quiche hot or cold. Keep it in the fridge, covered with plastic wrap until needed. Heats fine in the microwave. SERVE: On a plate or out of the muffin tin. ONE NOTE: on the muffin tin. I oiled it well and the mini Quiche still tended to stick. So Maybe try a silicone muffin form or paper in the muffin holes. These mini Quiche hold together well and make great grab food. No plate necessary. We are partners with Amazon Services llc. We gain a commission on program affiliate advertising linking to Amazon.com. Thank you for supporting Homemade Food Junkie. 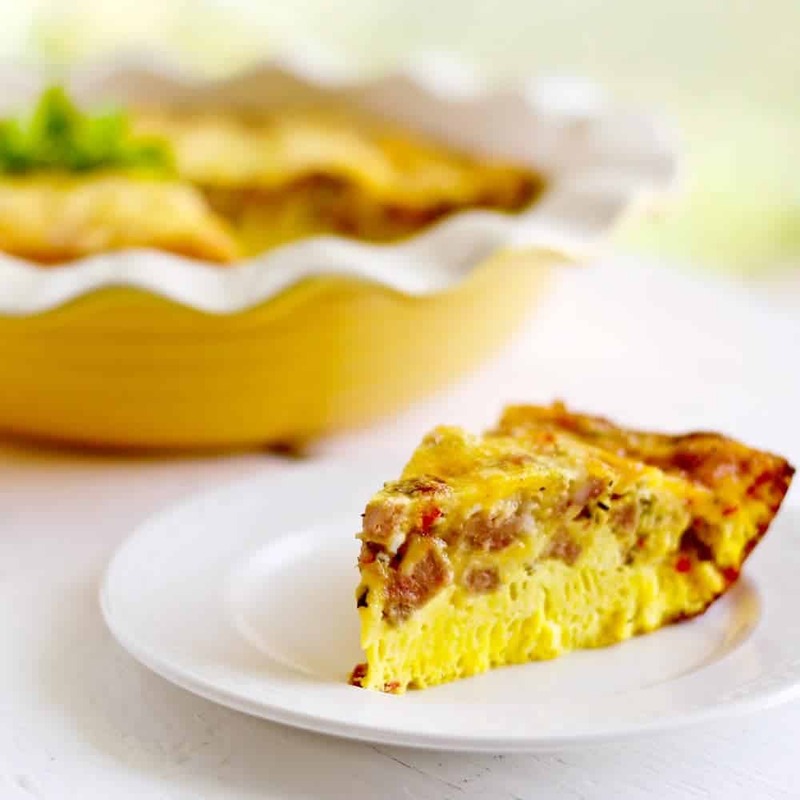 Crustless Sausage Cheese Quiche is Low Carb, low sugar and gluten-free. Delicious and nutritious! Seriously quick and easy recipe. Full of protein. This makes a healthy breakfast or brunch. It also can be made as mini quiches for grab food! Prepare sausage and set aside. Add the sausage, peppers and cheese and mix well. Bake muffin 20 minutes or until golden brown. Bake pie plates and 9 x 13 casserole 30 minutes or until golden brown and bubbling. Please add in your favorite low carb ingredients. In our video you'll notice I added cilantro. That is a great addition if you enjoy it. Otherwise leave it out. Let us know what you like in your crustless quiche! This Recipe was originally published in June 2016. Am I missing the nutrition facts somewhere? Looks great! Hi Dawn, THANK YOU for pointing this out! I put in a new recipe card recently and it doesn’t carry the nutrition in the same way my old one did. I updated the nutritional info in recipe for you. Have a great day! What an excellent idea! I have never tried it but I do think it will work and what a time saver. Here is how I would make this recipe the night before. Whisk everything together(except the sausage. Cut it and keep it in a small ziplock bag) and store the quiche filling in a covered batter bowl with a pouring spout in your fridge. Just before baking whisk the egg mixture lightly to mix it again and pour it in your pan(s). Now add the sausages over the top and bake in your preheated oven. I would LOVE to know how this turns out for you. Thanks for the genius idea and have a great day! I’ve used silicon muffin pan on this type of dish. Worked great. I paid a small fortune for a Scanpan version shipped from Japan. But I think the cheaper alternatives would work well. Hi Richard, It’s so good to hear from you! I hope you and Catherine enjoy this quiche. I haven’t tried silicone pie plates yet. Thanks for the tip! I love how this doesn’t have a crust! Love that it’s both low-carb and gluten-free!!! Me too Abigail. It’s a really easy delicious breakfast too! This looks so good! I can hardly believe it’s so healthy! Love eggs and love quiche! So glad to have another recipe to add to my collection! Thanks! Enjoy Land and Holly. Thanks so much for stopping by!